Hansons-Brooks Distance Project to talk about the psychological aspects of running and racing with a special focus on the Boston Marathon. After the discussion, you’ll have a chance to ask questions and chat with our panelists. 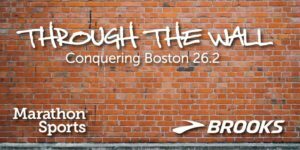 PLUS, you’ll have a chance to purchase exclusive Boston-themed gear from Brooks Running, including the special edition Launch 5. Libations and snacks will be available throughout the discussion. We can’t wait to celebrate the greatest weekend of the year with you! **IMPORTANT: Please register through Eventbrite so we can keep an accurate head count for the event! Click here for more information & to RSVP!